Believe us or on, hallway displays your personal attitude to home arrangement, decoration style and hygiene preservation! 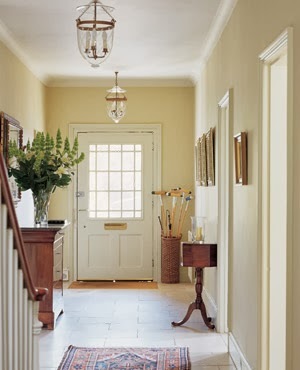 Think twice and think wise – isn’t the hallway the very first thing your guests see, when they enter your house? Isn’t the hallway one of the highest spoilt area, where the permanent traffic brings some extra additions to the décor – dust, dirtiness and bacteria from the inside world? Make a super feature wall – specially tailored for small hallway designs, where there is no free space for decors. Arrange some paintings or frames and pictures next to the shoe cabinet! You can even decorate with your own personal belongings and kill two birds with one stone! Hang hats and umbrellas on the wall and make a creative design style in the hallway! Install proper light – entering a gloomy and dark house is great only for the horror movies! A home place, though, needs to well-lit from the front door to the bathroom! Sanitise daily – domestic regular cleaning on daily or at least weekly basis is recommended. We mean ordinary cleaning chores such as hoovering, dusting and wiping the items! Furnish practically – heaping isn’t very nice for the hallway! Pick up some compact and transforming wardrobes with hidden cabinets. Multifunctional sets of seats and decorative table are also fine for some hallway improvement! Install a durable carpet. Too many unpleasant grime and filth will spoil a delicate rug or a 100% natural carpet. Often carpet cleaning eventually leads to this, so rely on something more solid and stronger as fibers and materials! Though, you can still make a great makeover by selecting a fascinating pattern or a mosaic image! Typical decors – mirrors, vases, sculptures and wallpapers! Use the traditional finishing touches, but arrange them originally and conveniently! Storage – big hallways may be functional and extremely useful, too! Storage solutions in the hallway is actually of benefit, because universal tools such as domestic regular cleaning equipment, instruments and gadgets are placed in the central part of the house! This really helpful.. I’m so glad to drop by your blog! Thanks for sharing.